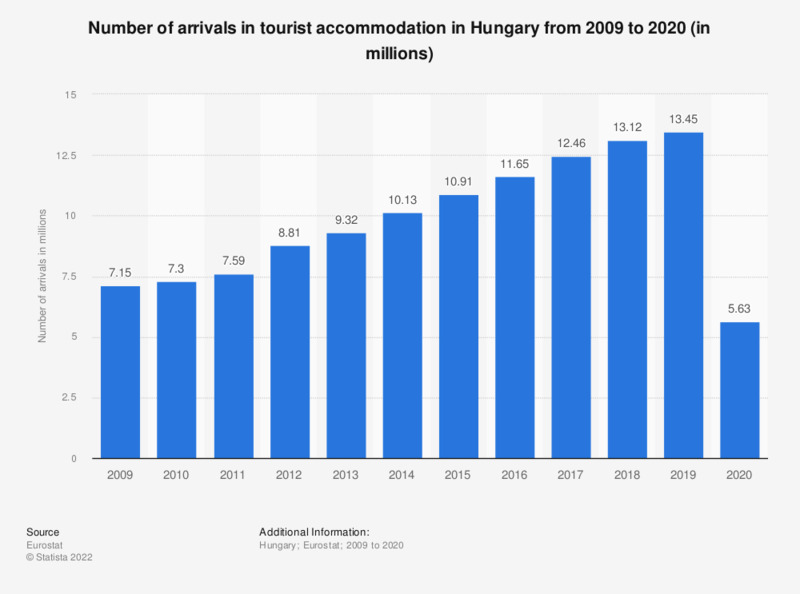 This statistic shows the number of tourist arrivals at accommodation establishments in Hungary from 2006 to 2017. Over this period arrivals of both domestic and international tourists in accommodation establishments in Hungary has increased, reaching around 12.5 million in 2017. Tourist accommodation includes hotels, holiday and other short stay accommodation, camping grounds, recreational vehicle parks and trailer parks. Everything On "Travel and tourism in Hungary" in One Document: Edited and Divided into Handy Chapters. Including Detailed References.